Multiple sclerosis (MS) affects the brain and spinal cord. Early MS symptoms include weakness, tingling, numbness, and blurred vision. Demega formulations INDIA is the major exporter of Interferon Beta Injection (Interferon Beta1b Injection) used to treat the relapsing-remitting and secondary-progressive forms of multiple sclerosis. BETAFERON are proteins produced by the body that help fight against attacks on the immune system such as viral infections. 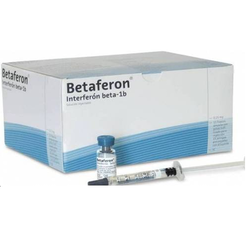 "Interferon Beta1b Injection" is known world over by brand name "BETAFERON"and Betaseron in North America. Looking for Multiple Sclerosis ?